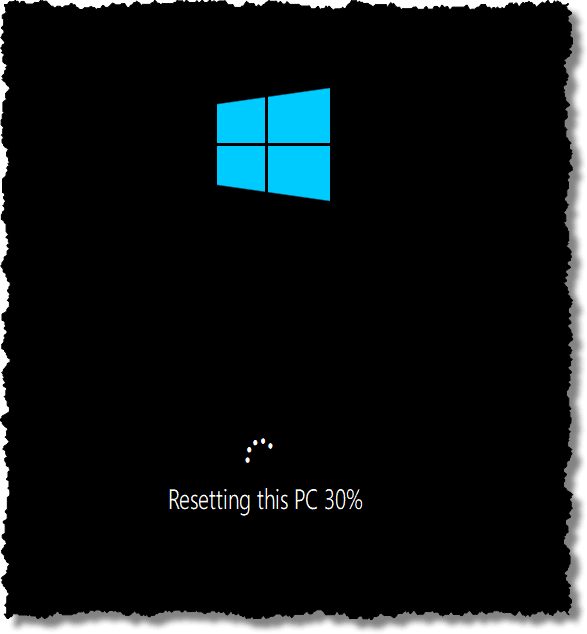 Reinstalling Windows 10 from Windows 10: "Reset This PC" - Ask Leo! 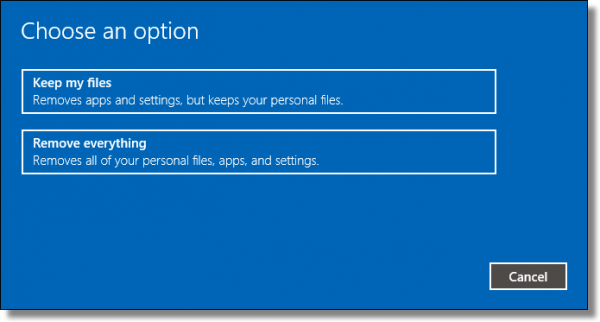 Windows 10 makes it relatively easy to reinstall Windows and keep most of your data while doing so. My machine wasn’t completely broken, but it wasn’t well. Months of turning things on and off, installing and uninstalling, and just generally “fiddling” while researching and documenting Ask Leo! 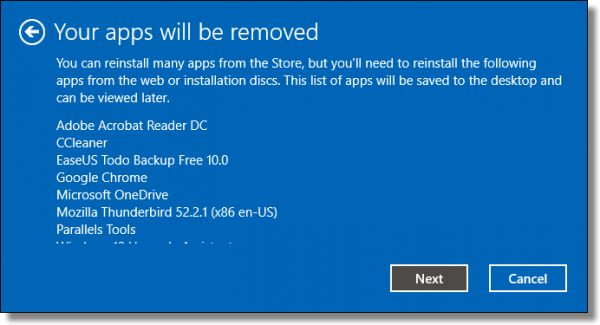 articles left this particular Windows 10 installation a couple of features short of a full package. 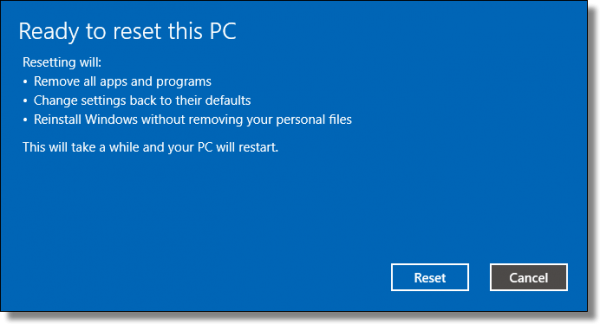 This presented a great opportunity to experiment with the “nuclear option” built into Windows 10: “Reset This PC”. Surprisingly, there’s now what I’ll call a “light” nuclear option, in addition to the traditional “delete everything and start over” approach. In the past, it was common to consider reinstalling Windows from scratch “every so often,” depending on how you used your machine. More recent version of Windows have become more stable, and that’s less of a rule of thumb than it once was. But still, stuff happens. Sometimes the most pragmatic solution is to start fresh, rather than spending an excessive amount of time looking for and trying random fixes. When that might be called for is difficult to say, as it really depends on your specific situation. If your system is just generally unstable, has slowed down excessively, or you’re banging your head against a wall trying to resolve a problem, a reset might be the most expeditious approach. Take a complete image backup of your system as it is today. What we’re about to do is a massive reset, and there are many things that could go wrong. It’s also possible to encounter unexpected side effects after a reset that may make you regret having done so. Be it a complete restore to the way things are before the reset, or the ability to recover specific files, an image backup is your ultimate safety net. I strongly recommend you not skip this step. In the Windows 10 Settings app, search for “Recovery”. On the resulting page, underneath “Reset this PC”, click on Get started. The first choice to make is whether to “Keep my files” or “Remove everything”. It’s unclear exactly how much “Keep my files” keeps, but we can make an educated guess. My belief is that it simply preserves the files in your login account folder – meaning everything within “C:\Users\<your login name>”, including My Documents, Pictures, Music, and the like. It’s what I was referring to as the “light” nuclear option. If you keep data anywhere else on your system drive, it will be deleted. It’s my distrust of knowing exactly what is preserved, as well as my tendency to keep files outside the account folder, that has me recommending — again — that you always start with a complete image backup so as to not lose anything, no matter what. In this example, I’ll click Keep my files, but ultimately the decision is yours. You’ll receive a warning that your applications will be removed. This is expected, and is exactly what a “Reset” is all about. We’re reinstalling Windows from scratch, and afterwards we’ll need to reinstall the applications we need. This is actually one of the reasons for the reset. Removal of the applications forces us to cleanly reinstall only the apps we need, which typically results is a more stable system. Click Next. One final warning, and we’re ready to go. This will take some time. The process is reinstalling Windows from scratch, after all. Your machine will reboot at least once during this process. 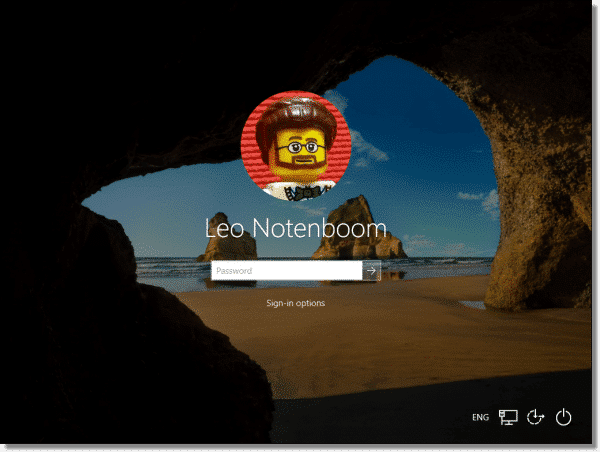 Eventually, the Windows log-in screen will reappear. On initial login, Windows will likely perform some updates prior to displaying the desktop. 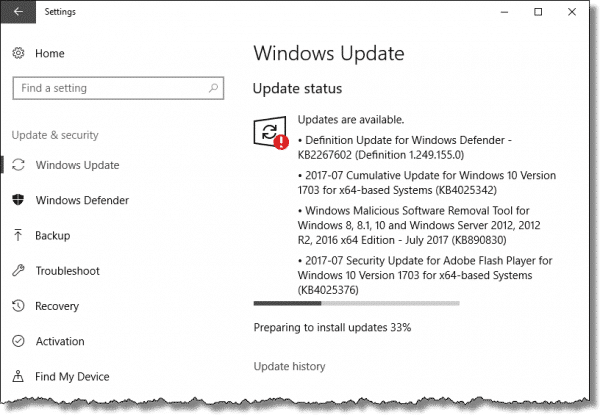 The very first thing to do after resetting your PC is run Settings, navigate to Windows Update, and click on Check for updates. Let Windows update itself completely. After the update has completed (which may involve rebooting), be sure to return to Windows Update and confirm that no more updates are available, or download any more that are. Only when there are no more updates available should you proceed. Next you’ll want to reinstall the applications you use. I strongly recommend you install only those applications you actually use. My approach is to start using the computer, and only install those applications I find I need. That way, only the software I really use is installed. Similarly, restore any data files lost in the process. If you selected “Keep data files” at the beginning of the process, you’ll want to confirm that the files you expect to be there remain. Restore any that are missing from your backup or other convenient location. Throughout this process, you’ll find yourself resetting the various options and customizations you had before the reset. Honestly, the more frequently I do this, the fewer customizations I carry forward, simply because of the time involved. Much like the programs I install, I only apply the customizations that are truly important to me. Yes: I recommend you back up once more, another full-system image backup. … essentially everything the Reset might not have preserved. Four ways to go back to Windows 7 or 8 from Windows 10 - Windows 10 is here. If, after trying it, you find yourself wanting to go back to Windows 7, there are a few approaches. What’s the Best Way to Upgrade from Windows XP to Windows 7? - A clean install is going to get you a cleaner operating system. It’s funny you should say that as it describes me perfectly. I’ve been using Windows for a very long time. In fact, I predate the internet as we know it being a throwback to the old Usenet days. I used to perform a reformat 3 or 4 times a year. Since upgrading to Windows 10 about a year and half ago, I haven’t reformatted even once. I have an older PC but it handles Windows 10 just fine. I hear so many people complaining about recent versions of Windows changing the way things are done. In a way, there’s some sense to that as Microsoft has a hard time making the transition easy, but on the other hand, with each new version, Windows is becoming more and more stable. I haven’t had to do a hard reset of Windows due to instability since XP. My HP laptop was one of the later ones to ship with Windows 8.1 so I upgraded it to Windows 10. But recently I went through a similar time as Leo did, and decided to do a reset. I store all my data on OneDrive, like Leo’s other article in this newsletter recommends, which made it easy to do a complete wipe. But, I couldn’t do the reset from within Windows. For some reason the files to do it weren’t there anymore, probably due to my upgrade from Windows 8. It wasn’t really a problem. I just downloaded the latest copy of Windows 10 from Microsoft and reinstalled. Since I subscribe to Office 365, I downloaded the Office files I use and I was back in business. But my point is that the reset option doesn’t always work. I actually went through this (after writing this article) with a Dell computer. I had to download the Dell reset disc from Dell to make it work. This is really a question, not a comment, but I’m sure other people wonder about this. I upgraded from Windows 7 Pro to Windows 10 Pro. Is the “Nuclear Option” going to take me back to Windows 7 Pro or Windows 10 Pro? It depends on how you perform the nuclear option. If you do it with a Windows 10 DVD, then you get Windows 10. If you use the recovery partition, you’d go back to the factory state, which would be Windows 7. It should be Windows 10. Leo, your login photo looks rather stiff. At least it’s not wooden. Thanks for this. Trying to fix my kids’ PC, at the moment and suspect there may be a root kit at work. Will this reset option deal with it, or do I have to go nuclear? Resetting is essentially reinstalling Windows from scratch. It would remove root kits. Either should do it, but nuclear would be the most definite. Does the Windows 10 “Reset” process only affect the boot partition? Say I have a single drive partitioned into C: and D: drives. Will the process overwrite drive C: only, or the whole physical drive, meaning both (logical) partitions? I believe only partitions involved in Windows itself – the system partition and the recovery partition(s). BUT ALWAYS DO A FULL IMAGE BACKUP FIRST. Just in case. The wonderful thing about your blog Leo is that no matter how long I have been in tech support, I always learn something new from your posts. I have a Latitude E6530 with W10 with terrible “stopped responding” issues which recover themselves in time. Neither of the utilities “sfc /scannow” nor “Dism /Online /Cleanup-Image /RestoreHealth” finds any problems. PC is very slow loading stuff also. MalwareBytes and CCleaner find nothing either. Your W10 reset idea is very attractive but I use Windows Live Mail with many saved email folders which I’m afraid of losing because I think Windows keeps them in a secret place and I don’t know how to restore them from a backup image. Any thoughts on this?